Windows Defender in the Anniversary Update loves to tell you what it's doing. 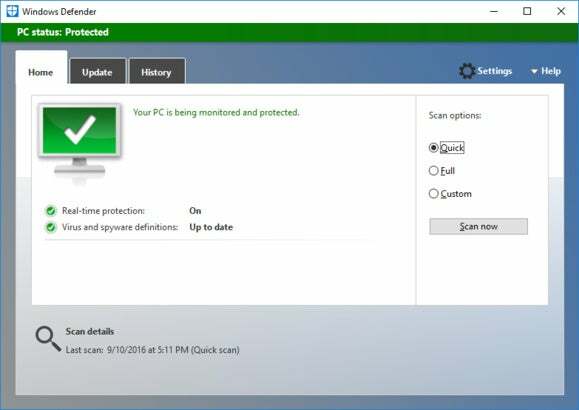 Here's how to stop that. 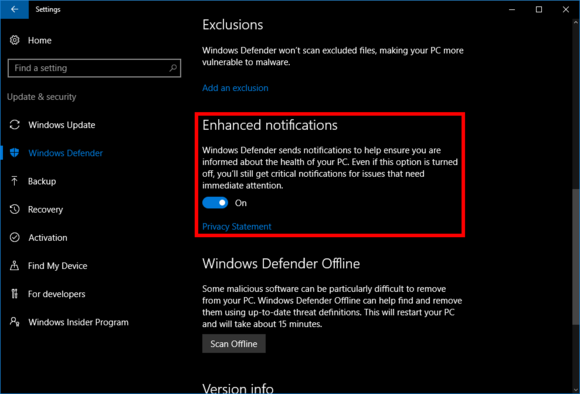 Microsoft’s Anniversary Update for Windows 10 wouldn’t be complete if there weren’t a few annoyances added to great features like Cortana integration and an improved Action Center. 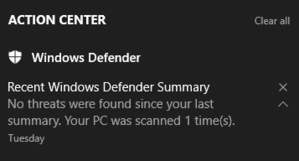 One such annoyance is Windows Defender's unceasing penchant for telling you what a great job it’s doing. 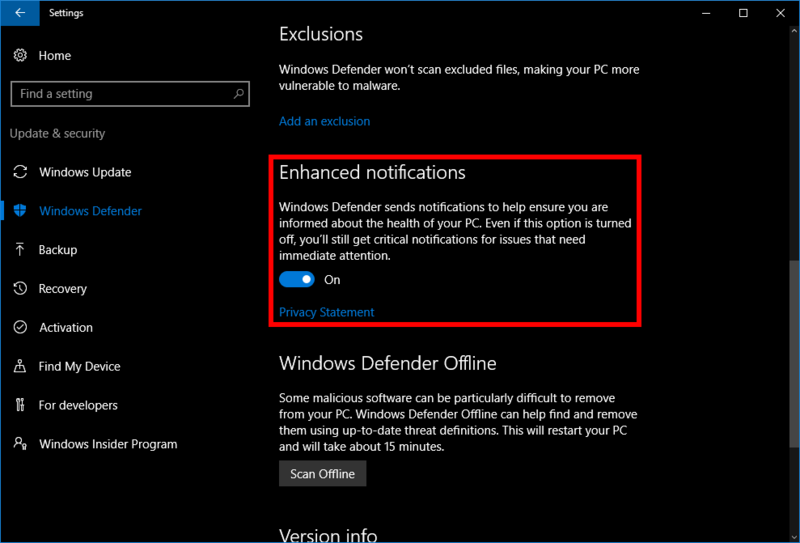 Then, in the main part of the screen, scroll down until you see the Enhanced notifications section. Then simply flip the on/off slider to Off.